Aaron Michael Butts, assistant professor in the Department of Semitic and Egyptian Languages and Literatures, has been selected for membership for academic year 2019-2020 at the Institute for Advanced Study (Princeton, N.J.) under the auspices of the Mellon Fellowships for assistant professors. 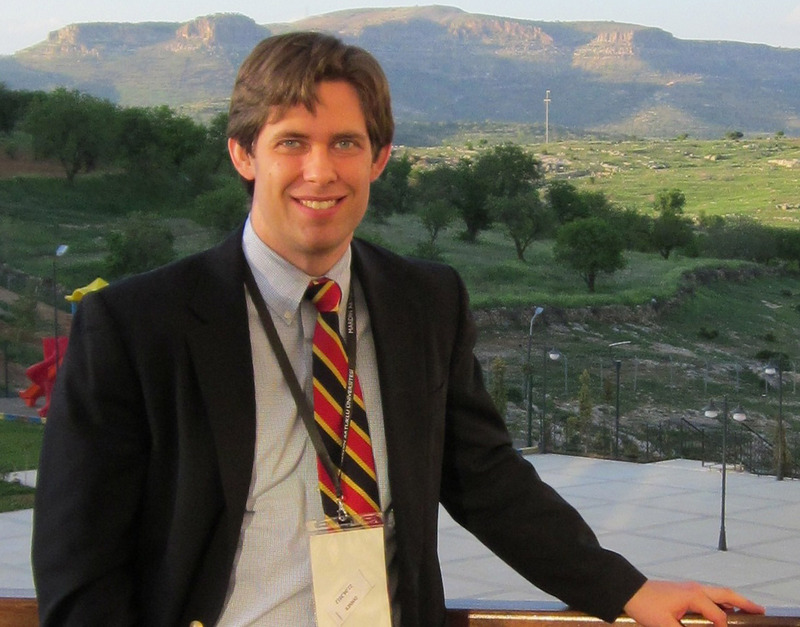 As part of his fellowship, Butts will be writing a book tentatively titled The Conversions of Ethiopia: A Study of Ancient and Modern Historiography. In this book, Butts challenges the positivism of earlier scholarship by offering a more critical history of the supposed conversions of Ethiopia to Christianity. His argument is not, however, solely one of historical deconstruction and minimalism. Rather, he also explores what the later Ethiopic texts that narrate these conversions can tell us about the cultural and political matrixes at the times of their promulgation. In this book, Butts aims to approach research questions in a different way, by looking more closely at the historical context of texts themselves rather than at the events texts narrate. The Institute for Advanced Study is an independent private institution founded in 1930 to create a community of scholars focused on intellectual inquiry, free from teaching and other university obligations. Each year scholars from around the globe apply to come to the institute to pursue their own research. The application process is highly competitive: The School of Historical Studies, where Butts will be located, receives more than 500 applications each year for less than 40 memberships. The competition for the Mellon Fellowships for assistant professors, which Butts was awarded, is even more fierce, with typically only two offered per year. Butts was also offered a fellowship for academic year 2019-2020 at the National Humanities Center (Research Triangle Park, N.C.), which he declined in favor of membership at the Institute for Advanced Study.